"I don't know what happened. I thought I was totally prepared, but as soon as I walked onto the stage, I froze and felt paralyzed. Even after all of those hours of preparation, nothing seemed to be working as intended!" 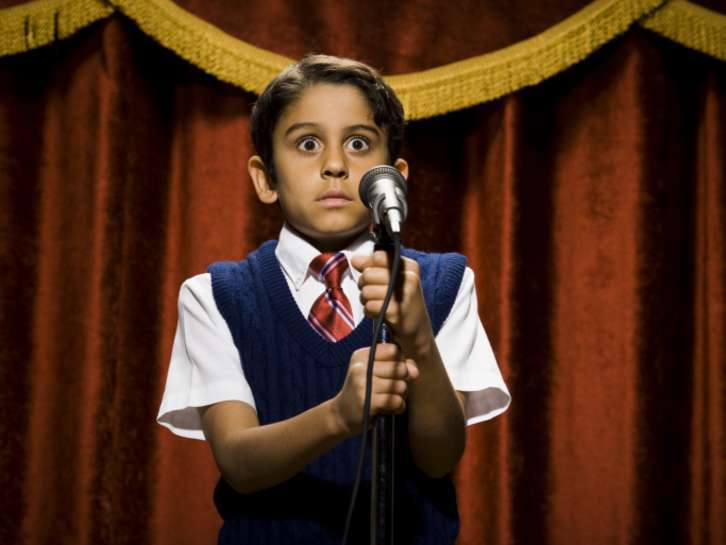 Although stage fright can be devastating, it is not a permanent or life-threatening ailment. Be encouraged. You can begin to exchange fear for confidence even under enormously high-stress situations. 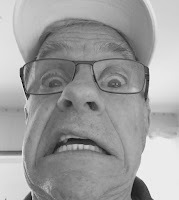 So, what's the antidote for those "deer-in-the-headlights" moments? Is it more practicing, deeper breathing, more singing, more listening, more mouthpiece-buzzing, more thinking, or being super-resolute? All of those are important, but very likely your secret weapon has not been adequately utilized. Simply put, your enthusiasm for what you are about to perform must be greater than your nervous doubts. 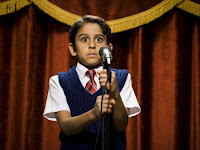 By instilling this mindset firmly on a daily basis, you will be building an effective strategy that will withstand the paralyzing trauma of stage fright. Bottom line. Strengthen your passion for music. Approach each etude, each excerpt, and each solo with a zeal for its musical message. Resist boredom. Inspired beautiful playing always matters. This applies even to your warm up. Aiming for musicality and expression is what fuels your success on stage and enables you to overcome nervousness. Your job is way more than just producing notes. It brings into play the very reason we are invested in music. Without a strong consistent dedication to music-making, we become easy targets for the assaults of the dreaded nerve giant. Imagine yourself sitting right now in the most prestigious trumpet chair in the country! Nerves are not the issue here. We're looking instead at the benefits of having to produce at a high level with each note you play. With this in mind you will be on the fast track to becoming exceptional, distinctive, and inspiring! True, you're not there yet, but why not pretend? Go into your next rehearsal or performance with that mindset. Have the focus and musical drive to excel no matter where you are today. Make others notice. Play like you belong in the best trumpet section on the planet! Compete with the giants of the past. What a great way to prepare for upcoming auditions! It's not a matter of fear of failure, but of a strong passion for consistently producing way-above-average trumpet playing. Now that kind of preparation will greatly reduce excess nerves and self-doubt. It will also make your practice sessions much more efficient. Remember, your eyes are not on the enormous canyon below your feet, but on the glorious finish line. Success at the end of the concert is a standing ovation. An ovation not for you but for your wonderful playing. You inspired. You entertained. "You're hired!" Annoyed conductor: "Trumpets!! You're not with the rest of the orchestra, you're out of tune, and way too loud! You're thinking: "No way, man! Your conducting is impossible to follow. It's the strings who are sluggish and the trombones have the pitch problems, not us! And furthermore, maestro, we were not loud enough!" Only in your dreams can you respond like that. Try it just once and you won't like what happens. Conductors always get the last word, so don't even think about answering back. You do so to your own detriment. So how do you handle brutal in-your-face criticism, justified or not? Your response reveals a lot about you. First, realize that the fruits of discipline are usually painfully acquired but necessary for personal and corporate success. The job of the nasty drill sergeant is not to be well-liked but to develop character, self-control, obedience and toughness in his recruits. So fall in, or fall out! Consider the benefits of the end game. Physical and mental strength tend to put jittery nerves to flight. Developing a steely reserve is vital for success under extreme pressures. So learn to anticipate the insults. They will only make you stronger. Respond well and the next testing will be easier. 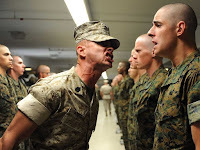 In so doing you'll win the approval of your sergeant. Responding with silence in the face of unjust or just accusations is often a sign of strength not weakness. Resisting instruction is to refuse improvement. A brass section of touchy, coddled egos will not be a unified fighting force in the orchestra. They'll argue and go to pieces at the first threat to their manhood. On the other hand, teamwork, humility, submission, and strong leadership are the earmarks of a great section. Resist tough training and you lose. Expect it, deal with it wisely, and you and your colleagues will win. Concerts are all about entertainment and appreciation. When the audience has been entertained the musicians will be duly recognized. That can be a wonderful motivation that can eliminate nervous anxieties. A great show is marked by an instant rousing ovation, not by a smattering of polite applause. The signal from the maestro for you to stand for a solo bow at the end of the concert is the exclamation point to your successful performance! That becomes your goal in practice, rehearsals, and especially in concerts. The effective performer has practiced overcoming fear with confidence in his ability to deliver the musical message. Love it when the nerves loose and the playing wins! Last week in preparation for a performance of Dvorak's Symphony No. 8, two trumpet graduate students played a dry run for the CCM trumpet studio. Everything was pretty much in place. Homework had already been done. Everything was OK, or was it? "Hey, guys! Do you want the audience to applaud at the end or not? Will the listeners say your playing was so-so, or will you hear bravos and cheers?" For sure: play in tune, play together, and play everything you see on the page. But that often is not enough. Exaggerate the dynamics, play all of the articulations marked, open up the sound and project it over the orchestra and well into the hall. To illicit an enthusiastic response from the audience and the conductor, lift your bells, add energy, life, and spark. 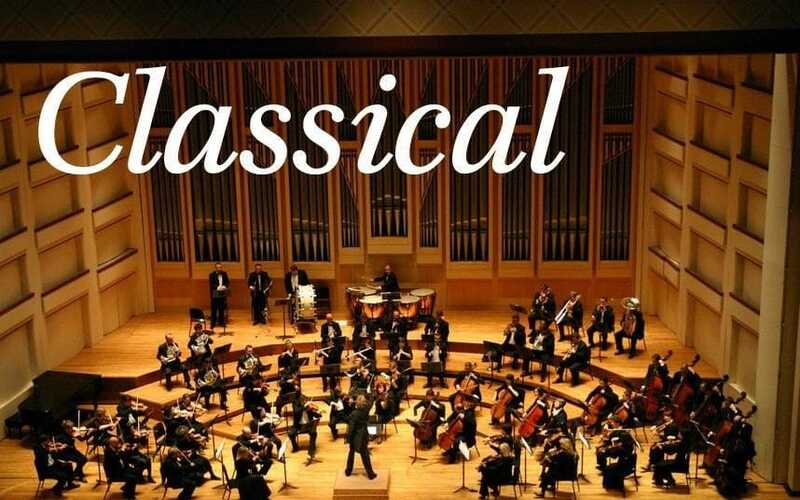 Have fun performing this great symphony. A performance should never seem like business drudgery. Mel Broiles used to say that exciting concerts required jolts of pizazz from the trumpet section! Later that week at the close of the concert: there was thunderous applause in Corbett Auditorium from a full house. And, just as anticipated: a solo bow for both trumpet players! Well done guys! Mel Broiles once claimed at my trumpet lesson that there is only one thing that separates a good student from a pro. Any Juilliard trumpet player, he said, is just as good as any top orchestral player with one exception. Experienced professionals are dependable, whereas students "trample the daisies", as he put it. There are probably many more differences between seasoned and non-seasoned players, but his simple emphasis on consistency was exactly what was needed that day. It was as if he yelled, "go home and practice, but stop missing notes!" How can we expect a smooth-sailing recording session when our lack of control is a public problem? How can we deserve a rousing ovation at a concert or recital when we played well but missed dozens of notes? At my sixth grade solo performance of Moss Rose, my younger brother could be seen in the front row constantly counting something on his fingers. When I asked him what he was counting, he said "all of your mistakes!" 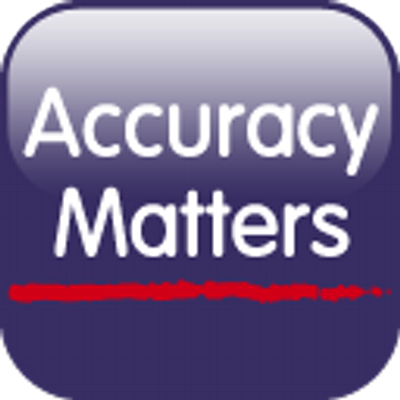 Quality without accuracy is not quality. Does your playing need a good tuneup? How's your tone, intonation, accuracy? Has it gotten a bit shabby over the summer? 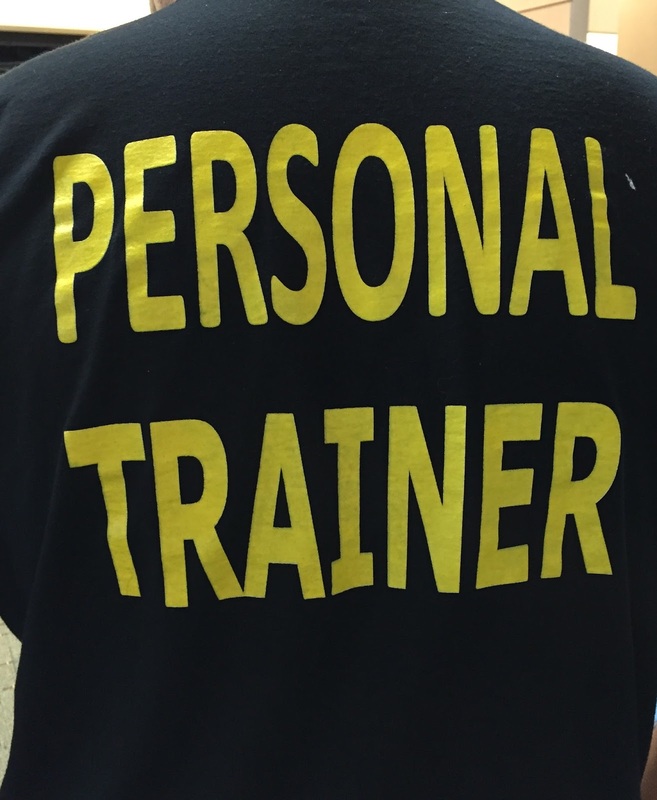 Well, there's a personal trainer at your fingertips that's ready to help. And it won't cost you a cent! Your help is only a few buzzes away. Put that trumpet down and prepare to start your free training session. Your personal trainer is your own mouthpiece. Play perfectly in tune and with your best tone. Be the best buzzer ever! Buzz with no fuzz. Be very picky. Win the audition with superior buzzing. If it's great on the mouthpiece, it'll be fabulous on the horn. How would listeners to your daily practice sessions describe what they hear? Would they say you are insanely amazing, or amazingly insane? Great performances follow great rehearsals. Great rehearsals require great practicing. And great practicing is characterized by clear thinking. Needed: daily generous doses of sanity. Helpful adjectives for your practice sessions: calm, patient, organized, purposeful, controlled. Not: frantic, hurried, haphazard, out-of-control. Inspired energetic playing must first be disciplined. Inspiration without discipline is as useless as discipline without inspiration. You must develop both, but discipline comes first. At the end of your day, you want to be satisfied that you worked efficiently, not frustrated that nothing happened. The improvement you want won't happen with fruitless frantic flailing. Sloppy practice never produced a polished performance, but it does give your nerve demons permission to wreak havoc on your performance! Preparing to do your best is better than hoping for the best, which is insanity. Former principal trumpet of the Cincinnati Symphony and Pops Orchestras. Books published: Trumpet 1, studies in the Style of the Pops Orchestra, 100 Trumpet Etudes, In the Singing Style, Piccolo Trumpet Studies, and the newly released Classic Style. Associate Adjunct Professor of Trumpet at CCM, father of six children, and grandfather of 11. Daughter Tracey is a violinist, piano teacher and mother of 4 children. Jeff runs a painting business and has five children. Tim teaches a large violin and piano class and has 2 children. Jeremy (classical guitar) is a graduate of CIM and USC. He appears frequently as soloist and teaches guitar at CCM. Zak is a graduate of CIM and a member of the viola section in the Indianapolis Symphony Orchestra. Wes is Principal Viola in the Cleveland Orchestra. My wife Sandra has a large class of violin students.